This was another fantastic weekend of picking. Here is a day by day breakdown of what we found. Friday: On Friday I went to a great sale where I was the only mcm buyer. I was able to get all the pieces I wanted with no competition. The white Bretford floor lamp has now been rewired and is now available at Hawthorne Vintage for $75. 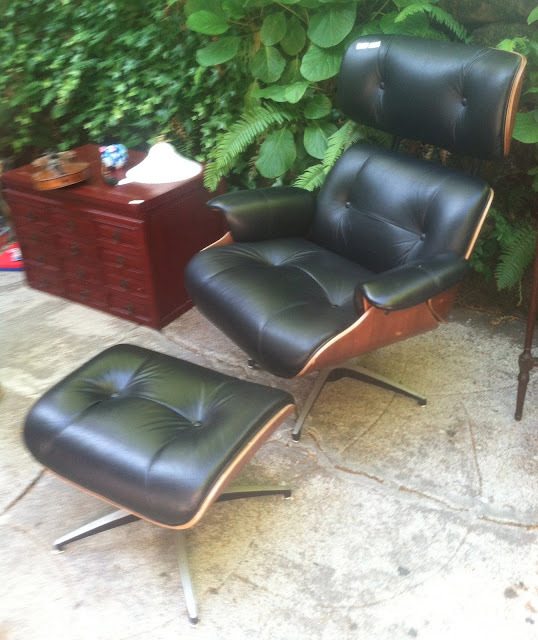 The Eames arm shell chair is the first one that I have found this year. The plycraft style chair needs some work and an ottoman. It should be available in a few weeks. Saturday: On Saturday I shopped at the Eastmoreland neighborhood garage sale. It is the largest neighborhood sale in Portland with 143 garage sales. It was a great experience and I discovered some incredible finds. Richard Nissen rosewood and chrome candleholder. SOLD on Etsy. 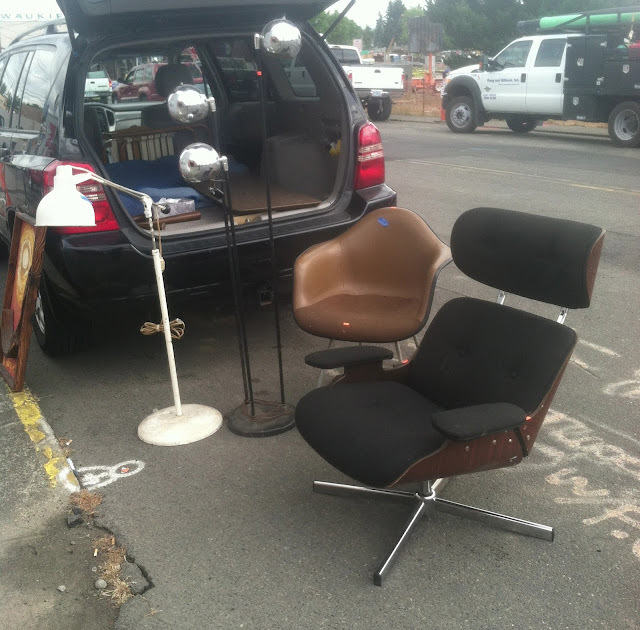 My favorite find of the weekend was this pair of Spoleto chairs by Marcel Breuer. SOLD on eBay. Sunday: On Sunday I didn't find anything at my usual flea market stop but I went to an auction and left with the one lot that I came for. Set of 4 Thonet armchairs. 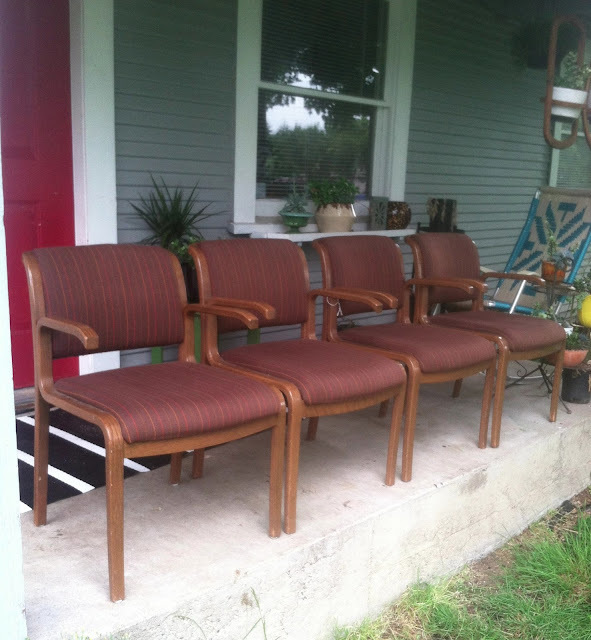 Will be reupholstered and available soon. Great finds! Love the candle holder!! Wow! Every weekend you guys score! Love the candle holder and all the chairs! Those Breuer chairs are fab! Great finds. Love seeing them. Thanks for hosting. Love your finds this week. I learn more every time I visit. Thanks for hosting.